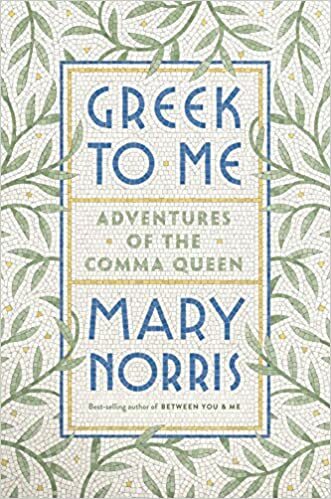 “A rollicking adventure into the origins of the apostrophe, the proliferation of profanity in American culture, and everything in between” (San Francisco Chronicle), Mary Norris’s bestselling Between You and Me: Confessions of a Comma Queen was a raucous, cheery memoir about grammar, usage, and practical life advice gleaned from her three decades in The New Yorker’s venerable and notoriously fastidious copy department. Her latest book is another paean to language and expression. In Greek to Me, Norris celebrates all things Greek—words, gods, wine, and waiters—as she offers a hot take on the distant but oddly familiar language that helped beget our own. This is a ticketed event. For more information please call (215) 567-4341 or click here.